KEY FEATURES: Spreading shrub to 3m. 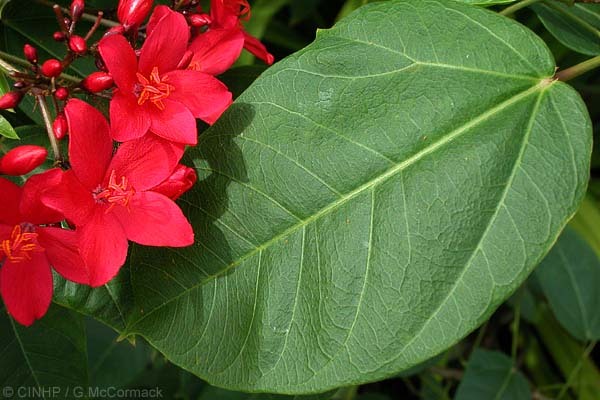 GENERAL NOTE: As for other Jatropha, the ingestion of the seeds may cause violent vomiting and diarrhea. Pukapuka: fieldspecimen, 2/2004, comon in villages, ID GMcC.